Bestel No Way Out van Mirjam Mous voordelig bij de grootste kinderboekwinkel van Nederland. Levertijd 1 dag. 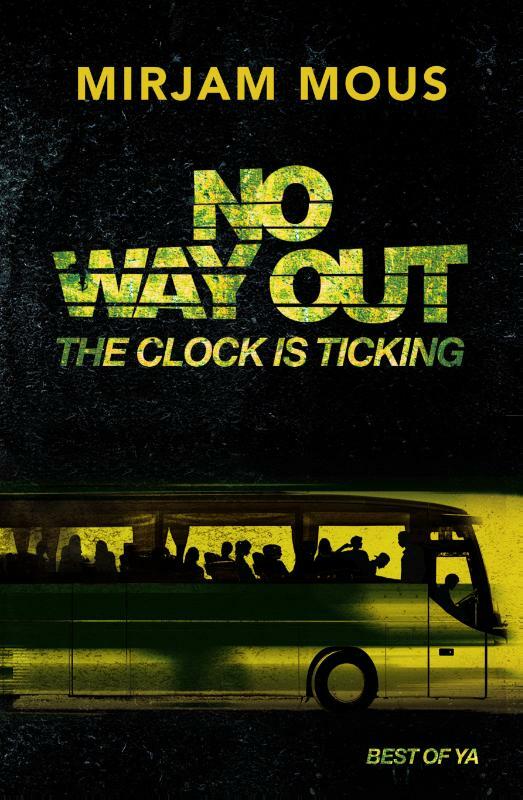 A bestselling thriller by Mirjam Mous play my DVD!it’s the one with the yellow cover do it within five minutes otherwise all hell will break loose Class 2C sets off on a coach trip to the Ardennes for a work week. At least, that was the plan. They are barely underway when one of the pupils receives a strange message on his phone. There appears to be a bomb on board the bus. No-one may enter or leave, otherwise the bomb will explode. It soon becomes apparent that someone on the bus knows more about this than they are letting on. Does one of the pupils know who placed the bomb? Or worse still, did someone from class 2C place the bomb themself? What happened over the preceding months for things to get to this stage? Not just at school but also in the students’ and teachers’ homes. Plenty of people turn out to have motives and hidden agendas. But who is really behind it? 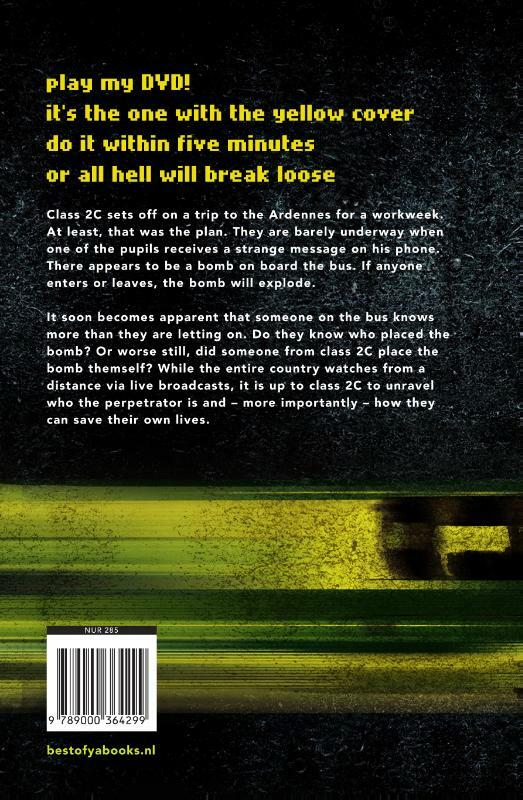 And while the whole of the Netherlands watches from a distance via live broadcasts, it is up to class 2C to unravel who the perpetrator is and, more importantly, how they can save their own lives.